Here is a small sampling of some of our projects that we have completed. We work hard with our clients to make sure they are 100% satisfied with the finished product of their project. Each project is dealt with individually, because each project will always have its own unique program requirements, issues, and challenges. This project was for a new house in Southampton, NY. 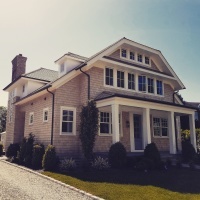 The clients wanted to design a new house with a traditional hampton style architecture on an existing vacant lot. 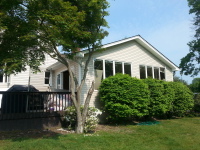 This is a 3,000 square foot, 4 bedroom/4 bathroom, Hampton style home. It also features a large eat-in kitchen with island, a formal dining room, a large living room with fireplace, a master bedroom suite with a fireplace. Both floors have10ft high ceilings. 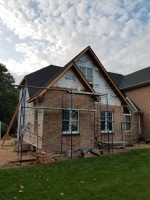 There is a covered porch in the front with bluestone finish & trimmed box columns, a side porch, and rear porch and deck above. The backyard has a pool, and detached two car garage with a terrace. The Hampton house also has a 10ft high finished cellar with a bonus bedroom, gym area, and plenty of storage space. 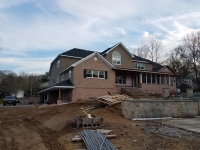 This project was for a new house in Ridge, NY. The clients wanted to design a new house after the original had been condemned. 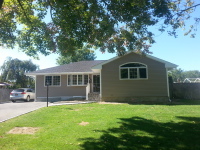 This is a 2,600 square foot, 4 bedroom, 2 1/2 bathroom, colonial style home. 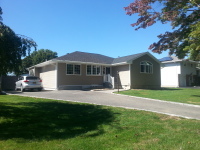 It also features a large eat-in kitchen with island, and large open concept living space. There is a covered porch in the front with wood deck, and rear deck. 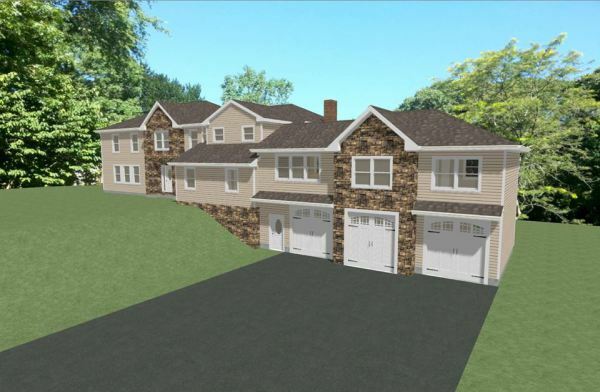 The lot is 1 acre, and also has a basement. This project was for a new house in Southampton, NY. 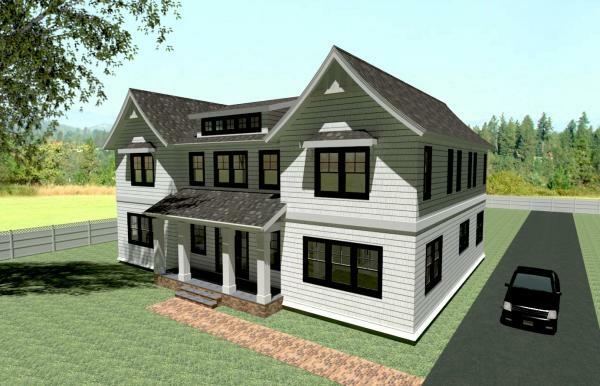 The clients wanted to design a new house with a traditional Hampton style architecture on an existing vacant lot. 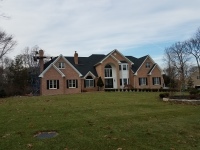 This is a 5,000 square foot home with 6 bedrooms & 7 bathrooms, Hampton style home. It also features a large eat-in kitchen with island, a formal dining room, a large living room with fireplace & private family room, a master bedroom suite on the second floor with a fireplace & private balcony. Both floors have 10ft high ceilings. 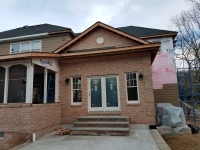 There is a covered porch in the front with bluestone finish & trimmed box columns, and rear porch with balcony above. The backyard has a pool, and detached two car garage with a terrace. The Hampton house also has a 10ft high finished cellar with a bonus bedroom, living area, gym area, wine cellar and plenty of storage space. There is also a walkout area for the basement. 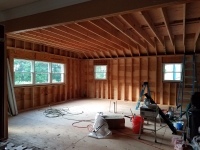 This project was for a master suite addition on the second floor. 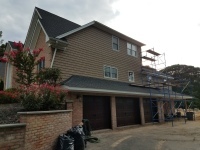 The clients also wanted updates to the exterior facade to create a home that was more in line with the Hampton style house. There is also a covered porch in the front, and a private balcony from the new master bedroom suite. The interior has updated trimwork, a new direct vent fireplace & built-in shelving. 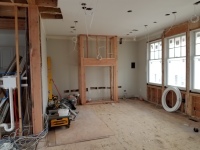 The second floor is adding a bathroom, and updating two others. The master suite has a large cathedral tray ceiling, and four fixture bathroom. 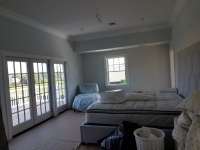 The master suite overlooks the backyard from a large 12ft sliding glass door. 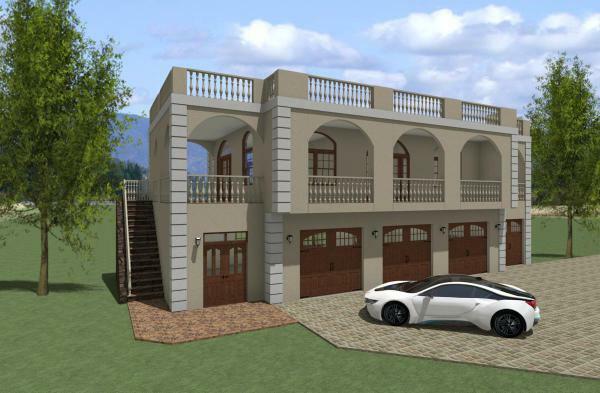 This project is a high-end four car garage, with living space and covered balconies above. The garage has space for three full size cars, and another bay for a compact car. In addition, there is an area for a workshop. The second floor has 3 covered balconies, and a small apartment. Living room, kitchenette, and a spacious master bedroom suite, with a walk-in closet, and 4 piece bath. 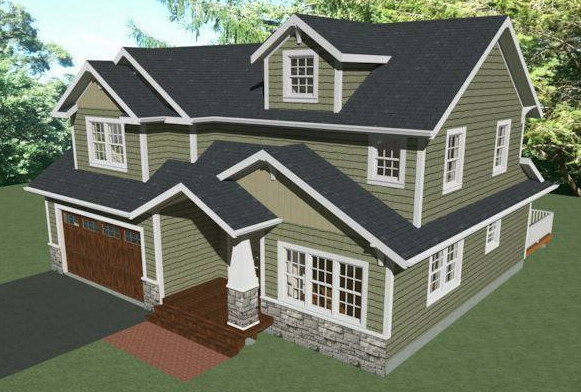 This project is for a brand new 2,600 sf two story craftsman style house. 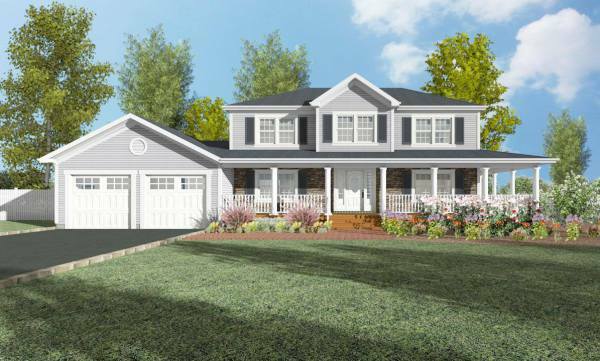 The design boasts 3 bedrooms, 2.5 baths & attached two car garage. The first floor has a large open space floor plan with high cathedral ceilings. The living room includes a fireplace and built-in shelving. 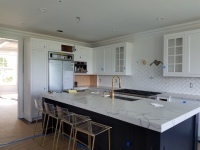 The eat-in kitchen style includes an island for entertaining. There is direct access to the rear yard with a deck area for hosting gatherings. 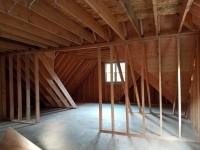 The second floor includes a master bedroom suite with high vaulted cathedral ceilings. The other two bedrooms are spacious with cathedral ceilings. 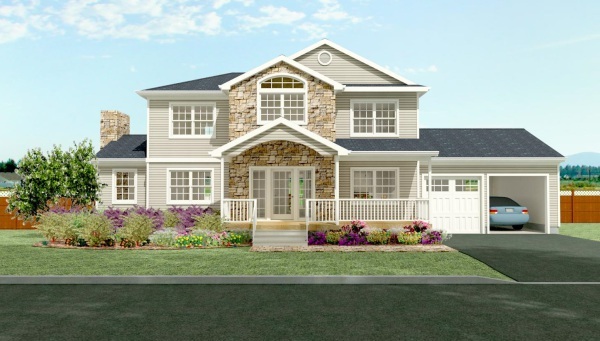 The exterior follows typical craftsman style with dormer gables & covered porch. 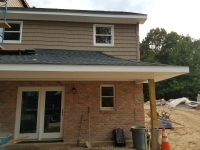 The siding is accented by cultured stone. Millwork includes decorative brackets in the gables, and a vertical siding accent in the gable roofs. This project was for an existing deck to be removed, and a new deck built in its place. Our firm suggested a multi-level deck as a way to separate the functions of the deck, with an interesting look of different heights. The client also wanted a large covered portion over the deck, to protect their summer gatherings from the beating sun overhead. The client also wanted to make some changes to their existing living room. The sun was coming into too much, so they reduced the amount of sunlight by closing up some windows. We also added a large sliding door to the deck, and a new pre-fab gas fireplace (with masonry stone) & built in shelves. 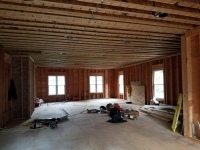 The ceiling is finished in a coffered pattern. This project was for a new sunroom addition in the rear yard. The clients wanted an additional living space where they could be in the summer, while keeping the outside elements to a minimum. The large space allows for ample guests to be entertained while in a controlled climate. 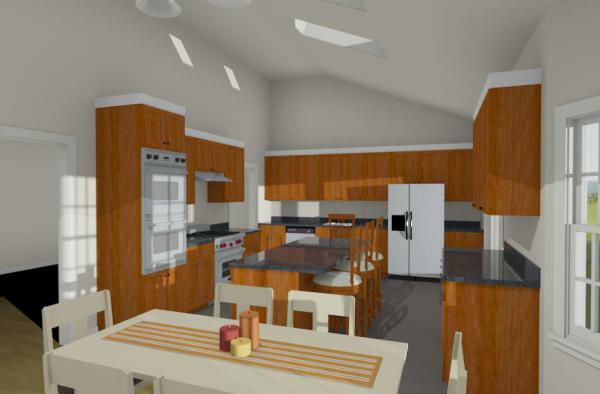 This project is for a front addition to extend the existing living room and a rear addition for a larger kitchen area. The client wanted to balance the existing house with a front addition, which mirrors the existing house. He wanted to create a nice, elegant gathering house for many functions. Adding a large open living room with a bar area, and a family style kitchen and island. The entire first floor is open throughout, making interactions between guests in all the connecting spaces. This project is an addition to an existing house. The new addition has a three car garage, with a 10ft ceiling & a mudroom. The second floor has an extended living room, office, and a bedroom. This project evolved from a detached garage, to a two story addition, based on the needs of the clients. This project was for an extension of the existing kitchen. The clients were unhappy with the size of their current kitchen, and wanted to bump out the front of the house with an addition. I suggested a nice gable on the addition for some added curb appeal, and a vaulted cathedral ceiling in the kitchen and dining rooms. 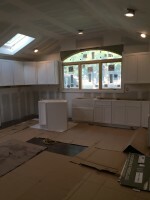 The new kitchen will have brand new appliances, a nice sized island, and plenty of light with some skylights above. There is also plenty of counter space! This project was for a front addition to extend the existing living room and kitchen area. There is also a covered porch for a better aesthetic curb appeal. The cultured stone under the brick veneer match the existing building construction, and give a nice contrast to the building materials. This project was for an Interior Alteration. 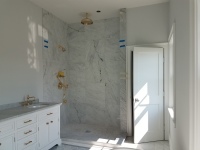 The clients wanted to add a hall bathroom & combined two existing bathrooms into a master bathroom. 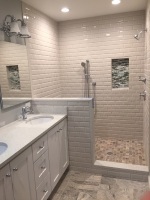 We helped with the design and layouts of the bathrooms. Architectural Kahnceptions, PLLC is capable of creating architectural drawings for many building types ranging from residential homes, town houses, apartment complex, to commercial properties such as retail spaces, offices, medical, restaurants, hotels, etc. Here is a small sampling of different kinds of projects we can create.